Most of you were not jumping out of your seats with excitement about the kale smoothie I mentioned last week. Raw kale is not one of those veggies that you pack in a little container and eat on your lunch break...it's more of a get it down fast so you can receive all the health benefits kind of veggie. I ALWAYS have a little pep talk with myself before I eat tortilla chips. It goes something like this..."Only a FEW then WALK away." Never happens. I end up camping out by the chips and end up with a giant chip hangover the next day. I made a batch of baked kale chips over the weekend. Ian and I ate every last one. YEPPPP Ian ate them...that is proof they did not taste like raw bitter kale. No chip hangover the next day makes me a happy camper. SO easy and seriously delicious! Looks pretty good! I'm all about the veggies! Yummmm! I am OBSESSED with baked kale chips!! My daughter even loves them, soooo yummy! Yess I'm so glad you liked them! I totally expected them to taste gross but they rival any other comfort food out there! Haha, awesome idea Lindsay and Michelle! Okay now there are something I WILL eat :) Thanks for the alternative! I've had these before at a restaurant and they were yummy. I ripped out a recipe that uses kale to make this week. I was thinkin' of you scolding me. :o) Just kidding. I like my greens. Just not in smoothies. Bleck. Beautiful pictures! 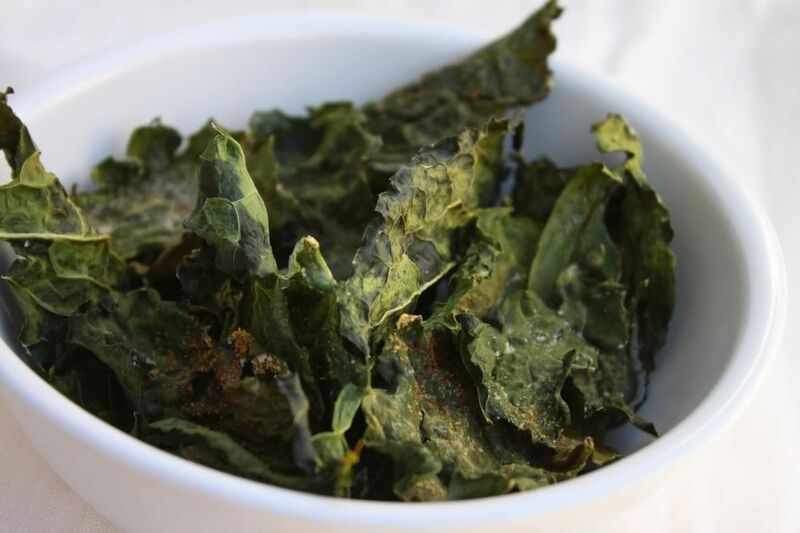 I have heard of kale chips but never made them. Yours look so good though! I'm excited to try these! I have a soup recipe that calls for a cup of kale, and I never know what to do with the leftovers! I keep saying Im going to make these and forget whenever Im at the store. Oh my I seriously just made these last night and then woke up to this post! I think I made mine wrong, though...they were kind of weird and airy. I'll try again using sea salt and some seasoning. Thanks for the recipe! I'm excited to find a better way to eat kale! What an amazing idea! I'm the same, once I have one chip, I eating for the rest of the night! I cannot stop it! I'll be trying your recipe for sure! Thanks to you, I'll still fit my jeans by the end of the summer haha! I like spinach smoothies, but haven't tried kale in them. I can also eat several roasted veggies...but we were not fans of the kale chips! I said it tasted like broccoli flavored potato chips ;) Maybe I need to try them again b/c I don't think I used any seasonings (maybe salt & pepper?) - can't remember, it's been a while. Maybe my taste buds have "matured" past that of a 7 year old :) Off to check out your strawberry muffins...they are on my "to make" list! I've always been kind of intimidated by kale chips. Maybe this is a sign that it's time to make some. You've inspired me to at least try them! Kale chips are a huge addiction of mine! What a good idea! Whoever thought of these is a genius! I've been trying to break my dad from chips, this looks like something he'd go for, if Ian is a picky eater like my dad (i.e. if it tastes healthy, he doesn't want any part of it). Yum! I've been meaning to try baked kale chips for a while now! I love kale and definitely want to get as much of it as possible into my diet (I just wish it were easier to find where I live)! I've made these before and couldn't believe they were actually tasty! (but then again, I'm not a kale hater.) You know what is also totally unexpectedly yummy after roasting - cauliflower! Oh man. I make these pretty often & THEY ARE SO ADDICTIVE & DELICIOUS. Even my picky 3 yr old eats them & loves them! i have been hearing so much about kale chips -- i am going to have to put this on my list of things i have to make. ha the list is getting really big, so it might take me awhile! Ok, I am defintiely going to have to try these!!! Sounds surprisingly delicious! this is ingenious! Thank you, I love this ! No more chips hangover, yay! Oh they look yummy and healthy! I still have to try it though. But it sure does look yummy. I think I have to try this, I need more vegies and this sounds yummy. I'm looking for any kind of chance to eat healthy this summer!! I bet I'd really like these! Thanks for the tips!! My boss made some of these and brought them to work and I just love the seasoning of the kale and the crispiness. Wow! I can definitely use a substitute for my tortilla chip obsession! Those sound pretty yummy, especially with the seasoning! And I love the health effects too!! Mmm kale chips look delish! I will definitely have to try this one out! Way healthy, too! I love Kale chips. I have a friend who makes them in her dehydrator and I can't just stop at a few. Your chips look awesome. I'm in NZ so kale isn't exactly at the local supermarket :) Could you use silverbeet instead? Before trying this recipe, I had never eaten kale. It's so tasty! I like it raw also, and think it would be better than lettuce for salads. It didn't taste bitter to me, so I don't know if that's just me or the type I used. my mom made a kale salad last night that was awesome. Just kale, apple cider vinegar, oil, apple slices, and golden raisins! Super yummy! I bake mine at 315 F for 15 minutes. I've tried them with Herbamare spice also. Anything works ! I'm addicted !